You guys. 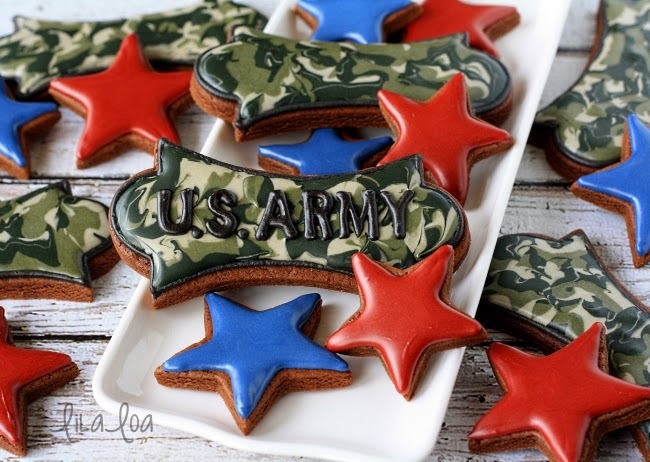 I am not even kidding you when I say that these are the EASIEST camouflage cookies you will ever make. Not even a little bit kidding. We're talking a 9pm, end of the day, the kids are seriously not going to bed even though they should have been in pajamas an hour ago, someone is crying and I can't even find them -I don't think I can actually make it another 10 minutes- NOT KIDDING. I do not joke around about bedtime or cookies. 1. 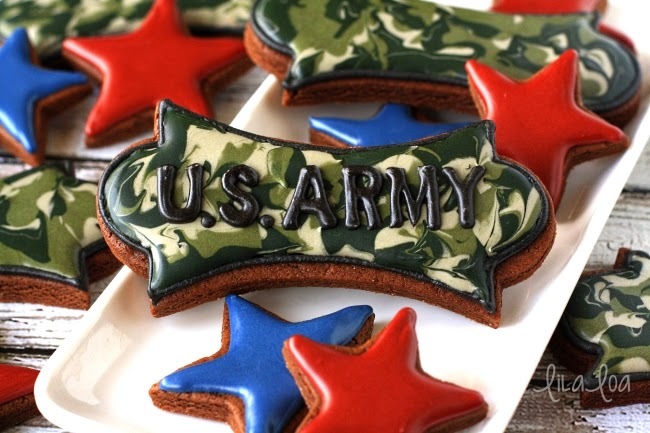 The key to making simple camouflage cookies is setting up your piping bag. Start with thin (10 count) icing in 3 colors. Put them in disposable piping bags, but don't cut the tips yet. 2. Push the icing up away from the piping bag tips. Twist all three tips together. 3. 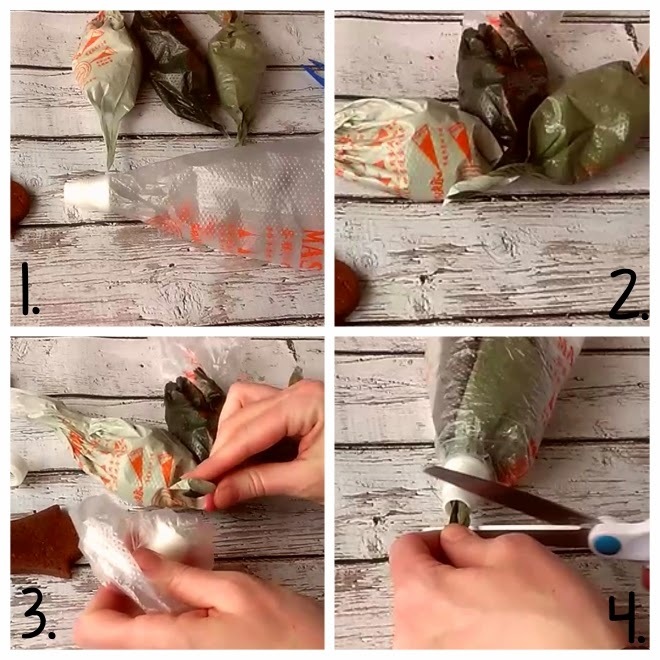 Put a couple in a fourth piping bag and pull the bag down around the coupler. Push the twisted tips through the coupler and pull them out the other side. 4. Cut the tips about 1/2 " (1cm) away from the edge of the coupler. Put a #9 or #10 tip on the coupler. I didn't take a picture of the next step because it all happened too fast. And also, it was really fun and I just completely forgot. But I did make a video of it. Basically, you just outline the cookie with thick icing. Then use your tri-color bag to pipe all sorts of random and haphazard patterns all over the place on the cookie and like cookie magic -- a camouflage pattern will appear. 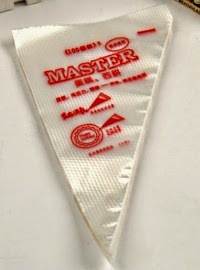 You can get low-priced disposable piping bags HERE or HERE. So...as it turns out they don't make a #9 tip any more. But you can still get a #10 tip HERE. 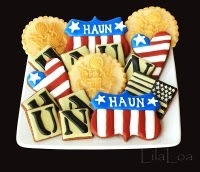 Find more soldier cookies HERE.